Who Benefits from an Increase in the Federal Minimum Wage? President Barack Obama has asked Congress to raise the federal minimum wage from $7.25 to $10.10 an hour by 2015. While such a move could boost the wages of millions of hardworking Americans, some workers stand to benefit more than others. Minimum-wage workers in states with the current $7.25 an hour rate — such as Kansas, Kentucky and Maryland — would see a $2.85 an hour salary increase, or a 28% raise. Over the course of a 40-hour workweek, this would mean $114 more in salary before taxes. Meanwhile, residents living where the minimum wage is already higher than federal law — states like California, $9; Washington, $9.32; and New Jersey, $8.25 — would see a $1.10, $0.78 and $1.85 hourly salary increase, respectively. 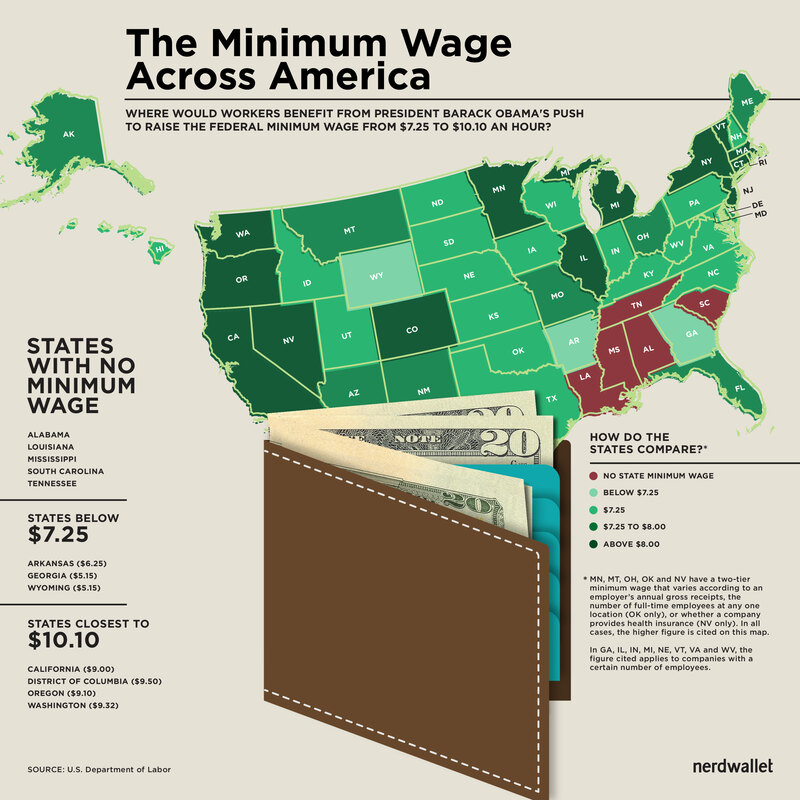 Check out NerdWallet’s map, which shows each state’s current minimum wage.